Internet of things at the service of the brand and the user experience. 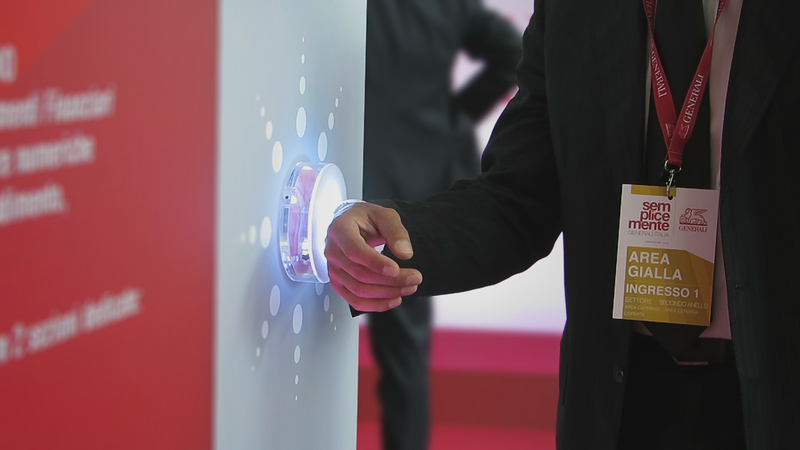 On the occasion of Generali Italia Convention, we designed and developed a system that allowed all participants to interact, with a simple gesture, with the content of the event. 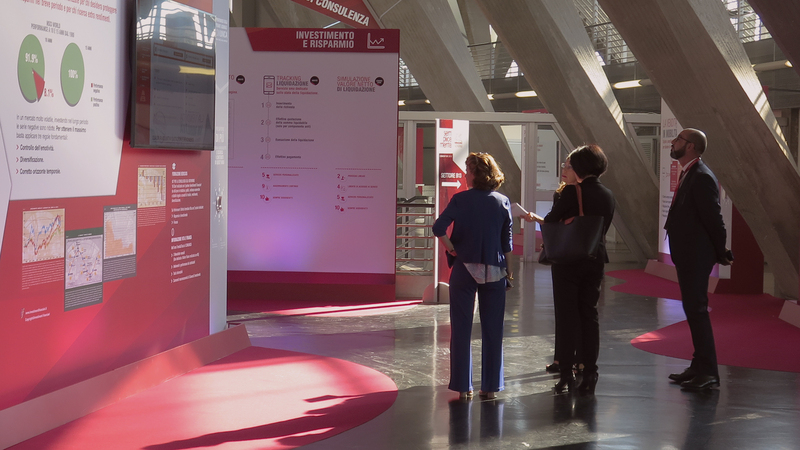 A new and sustainable way to improve "the event experience" with a digital system capable of engaging visitors and distribute content in a smart and measurable way. An integrated and simplified experience. 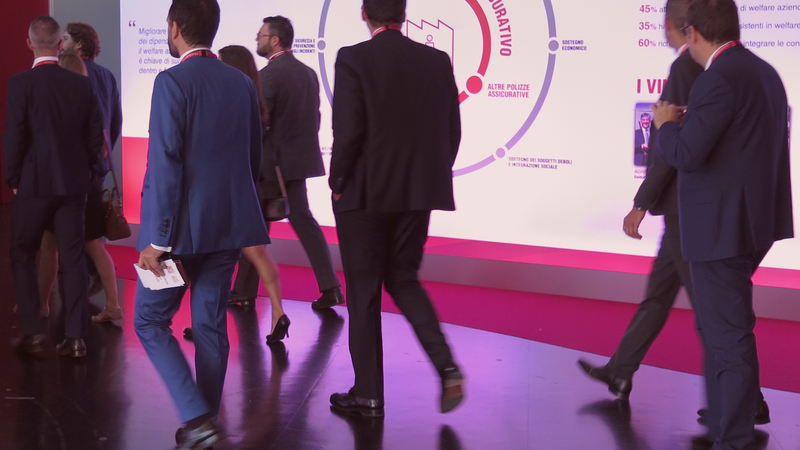 Through a single system, we connected the brand with the participants before, during and after the event speeding-up the check-in time and accreditation, multiplying the interaction opportunities, and increasing the post-event conversions. 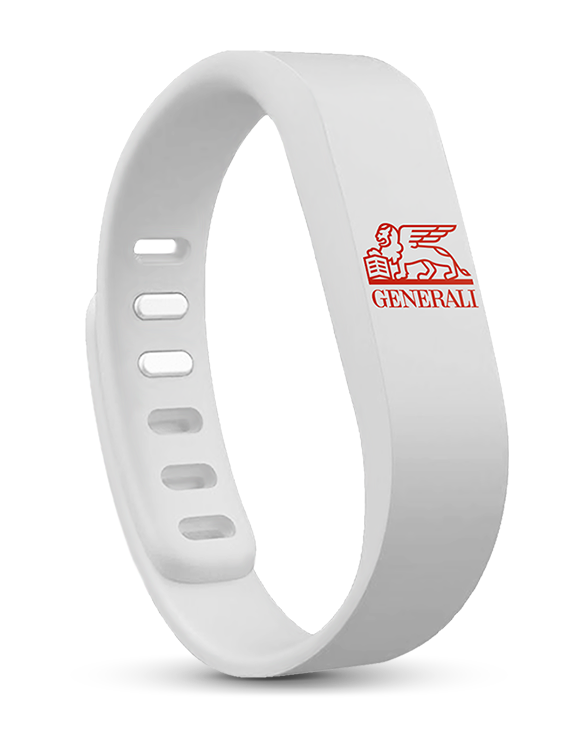 Generali world just on your wrist. Approaching the bracelet to the interactive hotspots visitors can save on their online profile related extra contents. A simple gesture to bring home a slice of the event and continue the experience. Besides the advantage of being able to deploy easily and fast additional content, it is possible to examine a complete activities, done by the visitors during the event, report. Which areas are the most visited, how many contents have been stored, which / how many users have downloaded extra-contents after the event.